Dayton’s Leading Charter Bus Service, 28 Years And Counting. Need to get your group to destination and back, on schedule? What if it’s also the most comfortable, stress-free, safe and fun ride you’ll ever have? Motorcoach travel anywhere in the continental US & Canada. Make sure you remember it and enjoy the ride with Buckeye Charters. 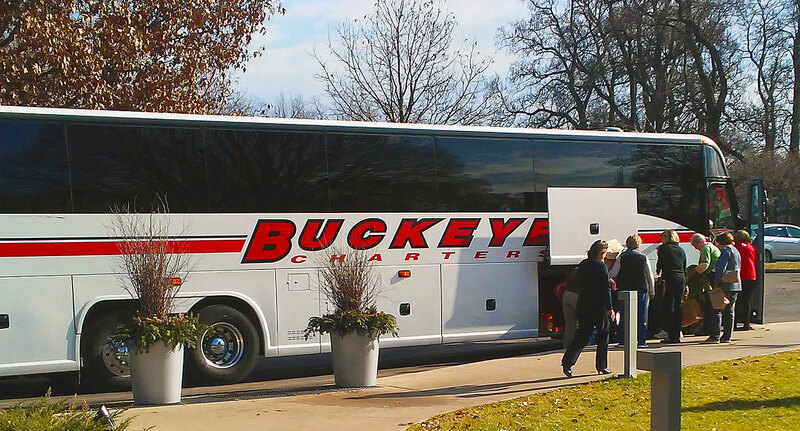 Why ride with Buckeye Charters? Share your trip with a professional, highly-skilled driver, who always has a smile on their face, makes you feel safe, and is willing to go the extra mile for you. Travel in comfort, all of our 56 passenger charters have DVD & CD players, microphone, air conditioning, radio, power outlets and onboard restroom. We’re always here for you. From your initial inquiry to last minute advice on itinerary, and relax with ongoing support throughout the whole trip. Forget those trips of the past, roasting inside the bus for 8 hours while you’re stacked standing in the aisle. Our staff is here to keep in touch from the moment you ask for a quote. We are responsible for every step of your journey, even before you set foot on our buses. Get the exact ride you need, when and where you need it.